It seems like every week there’s a new mega-music-festival popping up. In the Bay Area, you already have the well-entrenched Outside Lands and Treasure Island Music Festivals juggernauts but that doesn’t seem to stop promoters from putting up mega-bucks for mega-bands and yet more mega-festivals. One only has to look to the Bottle Rock (Napa) and First City Music (Monterey) Festivals … both in their first years … to see promoters trying to cash-in on this lucrative segment. Expand your map view a little wider and you’ll see something burgeoning to the East in Sacramento. Aftershock Festival, the NorCal incarnation of SoCal’s Epicenter has expanded to two days in its second year and has somehow managed to pull its line-up from multiple tours all converging in Sacramento in the same weekend … Megadeth’s Gigantour, the Rock Allegiance Tour and Carnival of Madness … for what promises to be an ear drum rupturing overload of the hard stuff. Amidst all the hubbub, Launch Festival (now in it’s fifth year) may have gotten it right. While many festivals talk about integrating with the local community, Launch Fest is literally designed in and around the local community. These four days of music, art and fashion take place September 4-8 in-and-around Cesar Chavez Park, smack dab in the middle of Sacramento’s downtown. There are parking lots and reasonably-priced hotels within walking distance, and if you opt for the weekend music pass, you get in an out privileges allowing you take advantage of the local cuisine. How great is that? While Launch promises something for everyone, music seems to be at its core; diverse line-ups both days topped by headliners certain to draw the crowds. Imagine Dragons, Minus The Bear, Rocket From The Crypt and Girl Talk should be reason enough to splurge for the $75 weekend music pass (link to tickets). 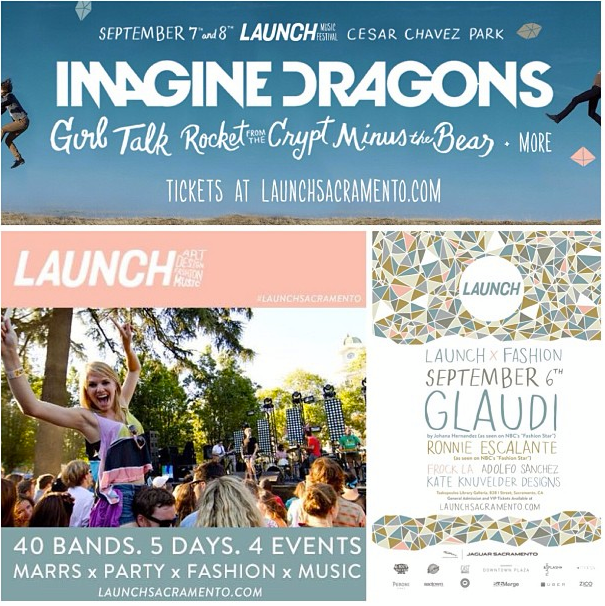 To top it off, Launch is promising after parties (specifics to be announced later), free with that weekend pass. Sold? Check out the full schedule below. 2:10 – Frank Jordan 2:45 – Turquoise Jeep 1:55 – Geographer 2:30 – P.O.S.